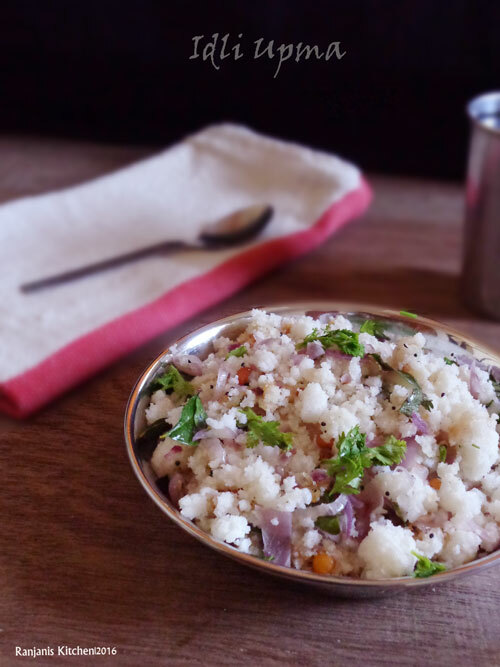 Idli Upma recipe – you have left over idlis in your kitchen? 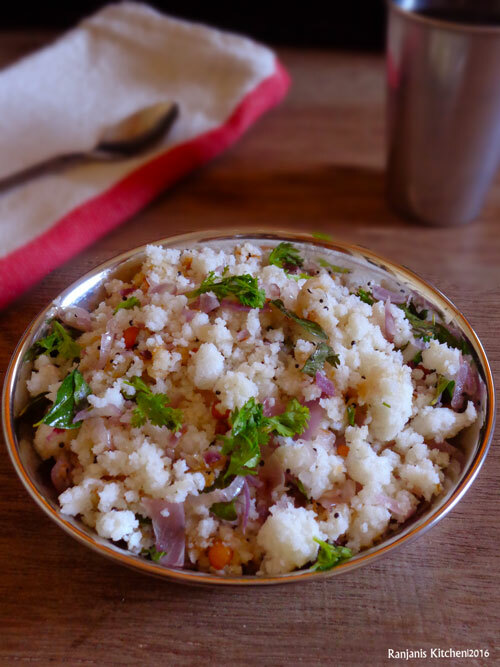 Make some delicious upma recipe with it.whenever I prepare idli upma recipe , I used to relish my childhood memories. If parents not at home during summer vacation, kitchen is our target. We used to experiment foods and make the kitchen messy 🙂 our elder cousin takes charge to control our gang and make some dishes what she knows. 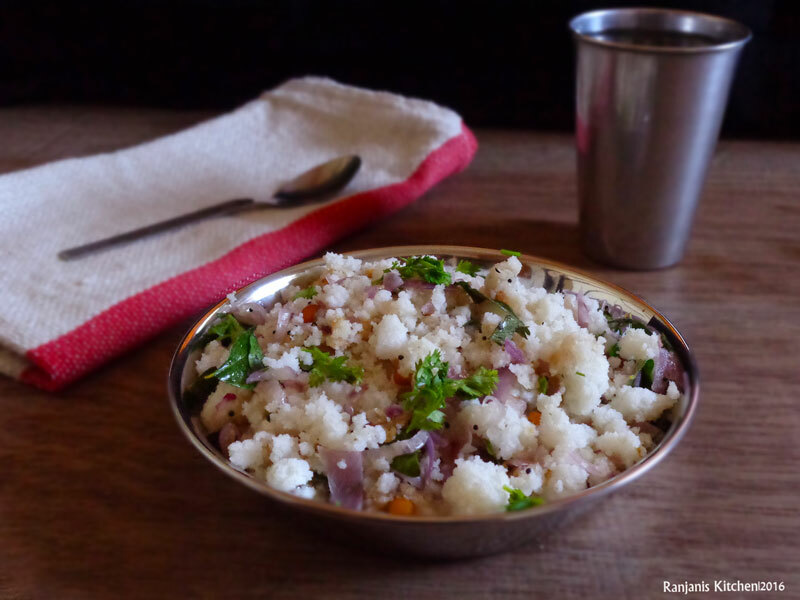 Idli upma recipe is the frequent one. She used to add more shallots and curry leaves. We were watching eagerly and drooling at the seasoning stage itself 🙂 The most treasured heirlooms in life is sweetest memories 🙂 so enjoy every moment in life. We cannot go back and live the same. I wanted to say, don’t waste the food. Prepare the quantity what you can eat. If something left, try to make some recipes with it. It applies to me also. So I started a separate category “ left over recipes” . I can make a list in it and useful for readers as well. Crumble left over idlis in a wide bowl. Heat a kadai, add mustard after it stops splutter, add urad dal and channa dal. Once it changes to light golden, add chopped onions along with slitted green chillies and curry leaves. Saute for two minutes until the onion turns light pinkish. Add salt , hing and stir well. Add crumbled idlis to it and stir for a minute in low flame. Add some coriander leaves and lemon juice and turn off the flame. Do not use hot idlis, it will not crumble well and the upma will not turn perfect. You can add turmeric also If you wish. I added more onions , it will give a nice flavour and taste to upma. You can add roasted peanuts and cashews also.